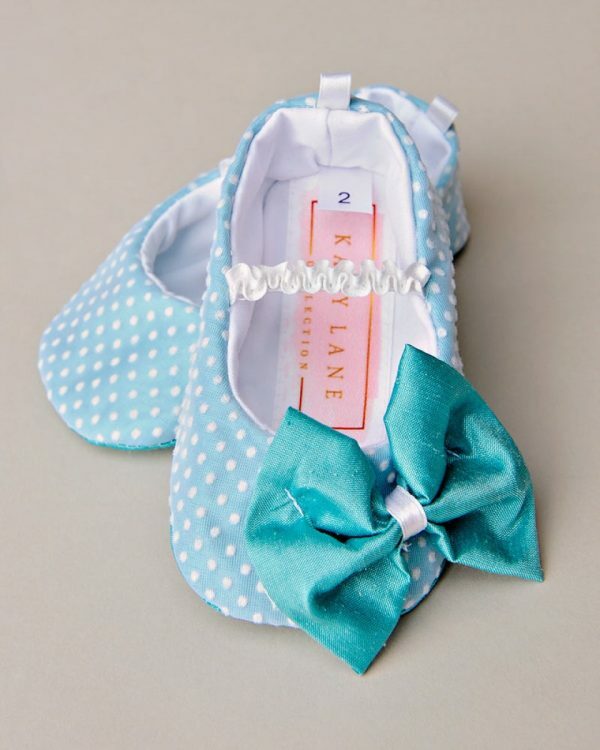 Dress those sweet tiny feet in polka dot paradise! Posh dupioni silk is overlaid with sheer polka dot fabric with an exorbitant silk bow a touch of character. Comes in your choice of light pink, turquoise, or white silk fabric. A smashing match for our Fiona Dress!